Although the French braid is far from a new hairstyle, it has seen an incredible return to popularity in recent years. 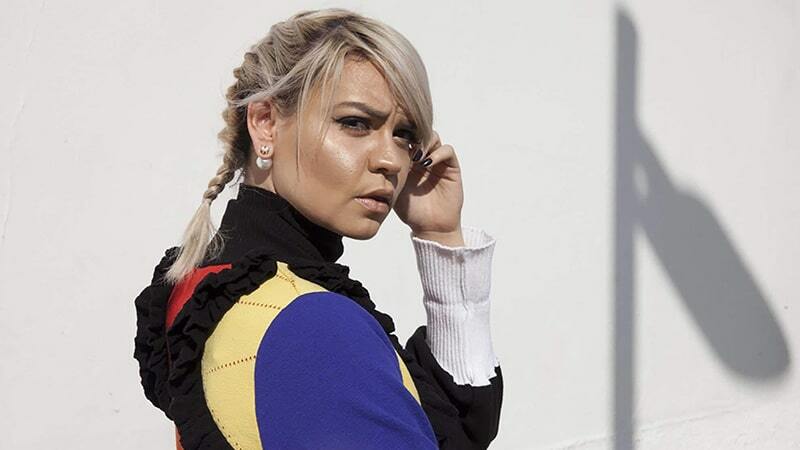 From celebrities to street style stars and just about everyone in between, ladies all over the world are once again practising their braiding techniques and nailing this timeless hairstyle. Loved for its intricate appearance yet relatively simple creation, the French braid is a fantastic style for all women, not just those who are experienced braiders. Additionally, with plenty of options of how to rock the style, there’s a French braid for every taste and occasion. So, why not give this trend a try? All you need is some inspiration to get you started, and we can help. 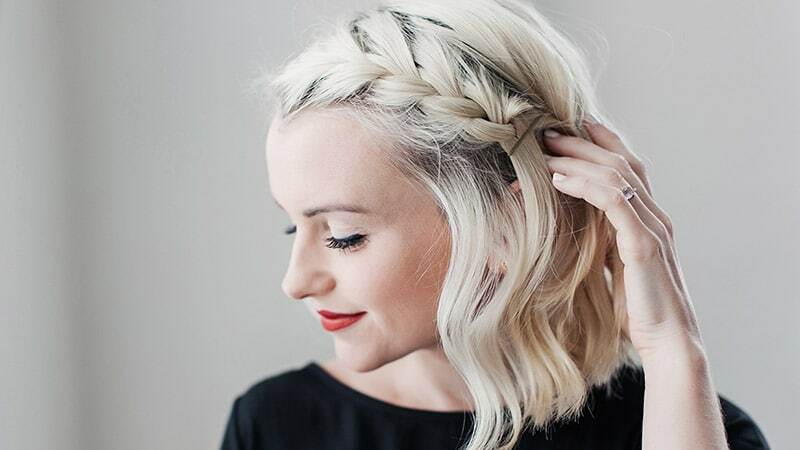 Here is our roundup of the most stunning French braid hairstyles to try right now. Before you can start braiding your hair, you need to understand what a French braid is. 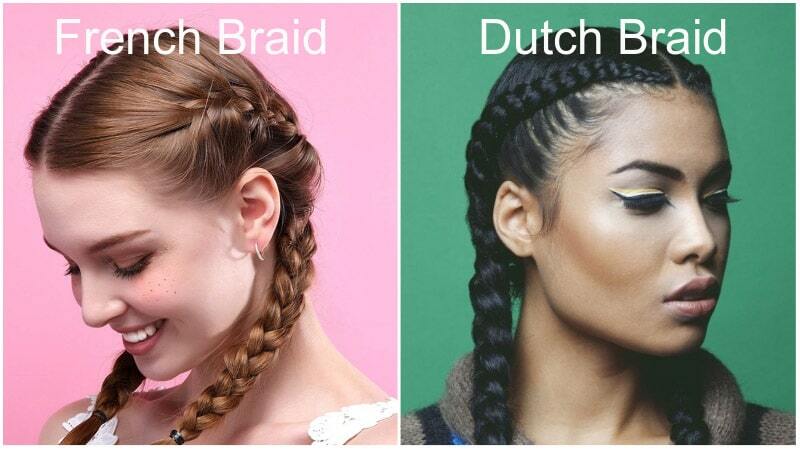 Also, it’s essential to know the difference between French and Dutch braids as the two styles are similar and often confused. 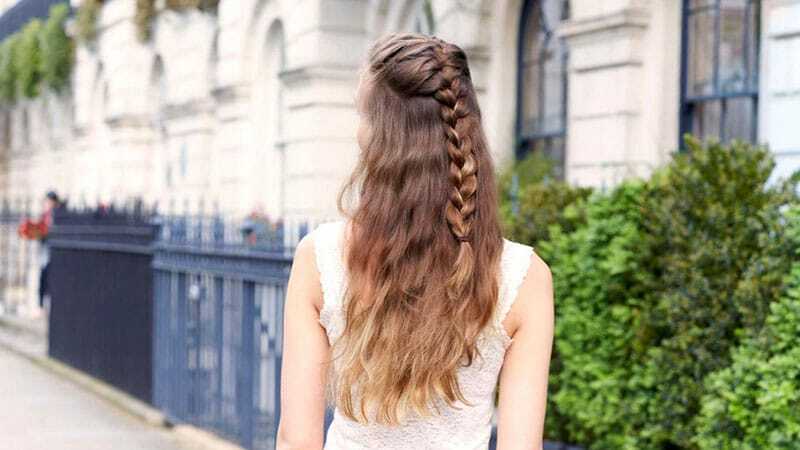 To create both French and Dutch braids, you use three sections of hair, gradually adding more to each section each time you move it to the middle. 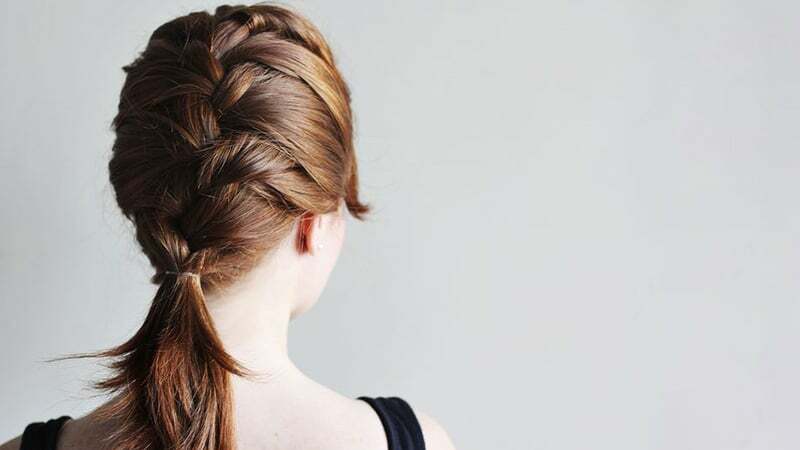 However, a Dutch version works as an inside-out or reverse French braid. With a French braid, you weave the outer sections over the top of the centre section, but with a Dutch braid, you twist them underneath the centre strands. The result is that the Dutch braid stands out more than the softer appearance of the traditional French braid. What could be better than a single French braid? How about two? While double French braids may have been a look you wore back in your early school days, don’t rule it out as something to try today. The lovely style is seriously on-trend right now and perfect for casual occasions. Just make sure you part and section your hair carefully when creating this look. While French braids aren’t hard to do, they can be challenging to make even, so take your time to do them right. 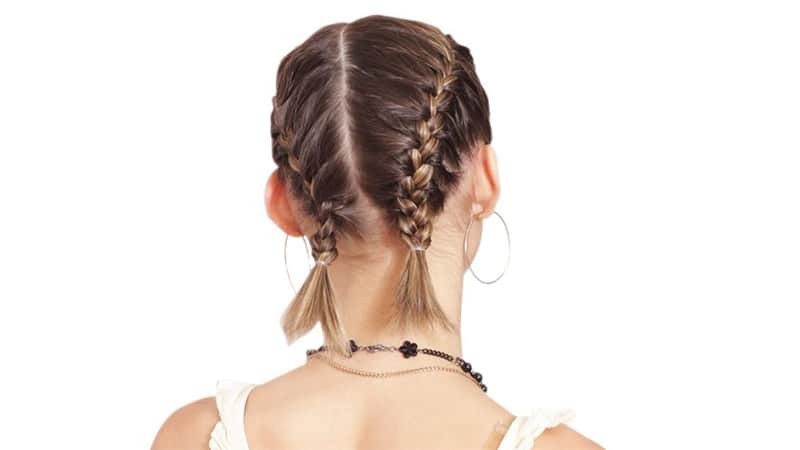 If you’re after an edgier take on double French braids, you can consider opting for double Dutch braids, which are also known as boxer braids, instead. For a cute and youthful take on the French braid hairstyle, you should consider rocking French braid pigtails. To create the look, start by creating a middle part. Then, French braid each side back to the nape of your neck. Instead of plaiting the rest, tie off your hair into two pigtails. The result will be a fun and stylish look that’s perfect for weekend outings, festivals and more. Best of all, this style can work with a range of hair lengths. So, whether you’re rocking a lob or long flowing locks, you’ll be able to achieve this chic look. A French fishtail braid is a stunning look that combines two braid types into one. To create the style, start at the top of your head with a regular fishtail braid. To do so, split a section of your hair into two sides. Now, take a piece from the outer edge of one side and cross it over the to join the other. Repeat on the other side. Add the French braid element by repeating these steps while adding in extra loose hair from the sides of your head each time you cross a piece over. Repeat this process on either side until there is no free hair left to grab. 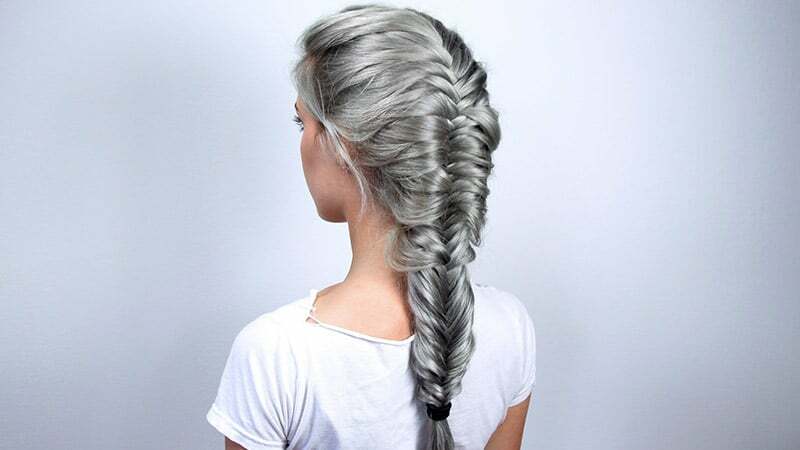 Then, finish with a regular fishtail braid. Whether you’re off to a special occasion or just feel like dressing up, a French braid bun can make a spectacular hairstyle option. Combining both a bun and braid, the look is detailed and sophisticated. Of course, there are countless ways you can combine these two iconic hairstyles into one. 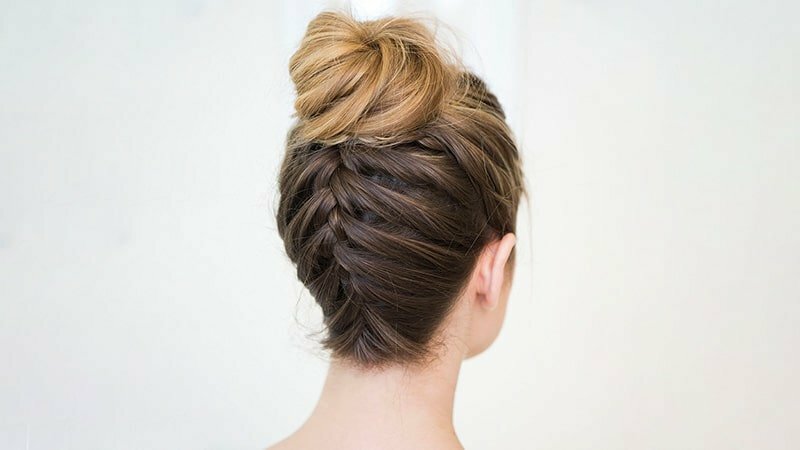 For a modern take, try creating a French braid that runs up the back of your head. Then, tie your hair off into a topknot. Alternatively, you can try a French crown braid partnered with a low chignon for a romantic appearance. If you’re new to the world of French braids, you may want to start with a simple style, such as a French side braid. While still looking stunning, this style is also seriously easy to create. Along with using less hair, it will also be easier to see what you’re doing at the side of your head rather than the back. Additionally, as the braid will also be shorter and lower than a traditional French braid, creating it will be less strenuous on your arms. Once braided, you can leave your hair loose or tie it into a ponytail, bun or half-up ‘do. Another simple variation on the standard French braid is to combine it with a ponytail. This smart style is perfect for work and can quickly be created in the morning. All you need to do is braid the top of your head, then tie the rest of your hair off in a ponytail. To change up this look, you can also play with the thickness of your braids and the height of your ponytail. While a thin braid and high pony will appear playful and contemporary, a thick braid and low pony will look smart and timeless. As mentioned, the reverse French braid, or Dutch braid, is a fantastic alternative to the traditional French braid. Thanks to the braid’s raised appearance, it is especially ideal for ladies who love a bold look. Additionally, creating Dutch braids can be relatively easy once you know how to French braid. The only thing you need to remember is to pass sections of hair underneath rather than over the top. To try this look, we recommend opting for double Dutch braids, which are also known as boxer braids and a favourite look of Kim Kardashian. 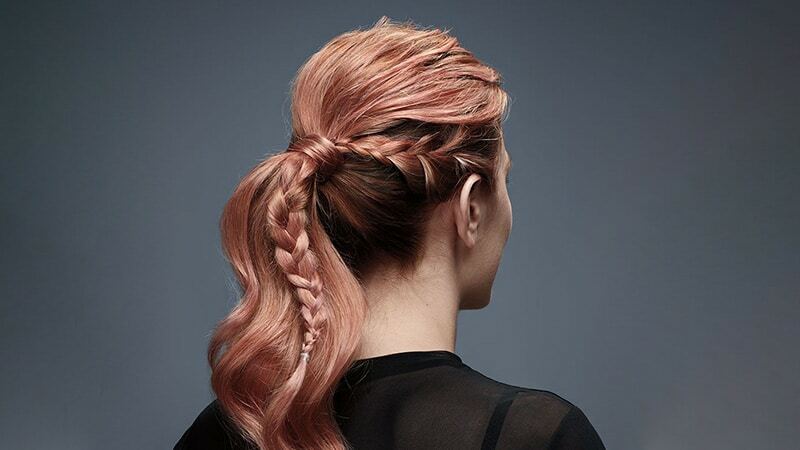 Both braid and half-up hairstyles are cute and on-trend. So, by combining them into one, you can achieve an amazing look that you’re sure to love. All you need to do to create the style is separate a section of hair at the top of your head. Then, start French braiding from your forehead back. Once you have reached the crown of your head, continue with a regular plait. Alternatively, you can tie your braid off into a ponytail and wrap it around its base before securing with bobby pins to create a cute topknot. Don’t think that you have to miss out on this gorgeous hair trend just because your locks are short. French braids can work for most hair lengths, even those that are above the shoulders. However, you may have to be smart about what kind of French braid style you choose. While intricate braids will be challenging to create, a short side or crown braid can work well. But, to be sure your braid will last instead of fall apart, use hair products, such as a defining hair lotion, which will add smoothness and grip. If braiding all your hair back isn’t particularly flattering for your face shape, you may want to consider adding bangs. Side bangs can look particularly stylish and will help soften your overall appearance. Additionally, they will draw attention to your cheekbones and away from your forehead and jaw. Alternatively, front bangs can also work well with braids, especially double French braids. They’ll also draw attention to your eyes, which can be especially lovely. But, be aware that if you have sharp facial features, a straight fringe and tight braids can appear quite severe.